The feature article was written by Andreas Mockenhaupt Director of Professional Services at DAM vendors, Canto. 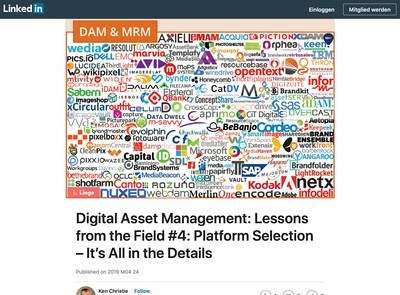 When an industry reaches critical mass, you can expect to see new standards emerge, and that’s exactly what’s happening in the digital asset management (DAM) space. 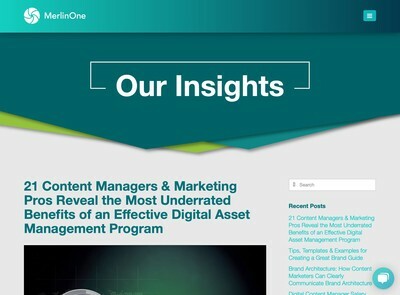 It’s an idea whose time has come as organizations increasingly grapple with the chaos of their fast-growing digital content stockpiles, including digital images, video and other assets. The ramifications of not effectively managing that content, and of not abiding by the digital rights associated with each asset, are serious, and range from requests to remove the asset in question from your website, to steep fines of as much as millions of dollars. Any company impacted by such consequences will find that trust in their brand will also take a hit. And while private industry has been quick to come up with technology solutions to manage the madness – including purpose-built DAM platforms featuring streamlined, automated processes and cloud deployment models – the problem for end user organizations is interoperability. Although DAM systems are proving effective for digital rights management (DRM) overall, they often operate in silos. That’s because exchanging metadata with other enterprise platforms is frequently wrought with obstacles. 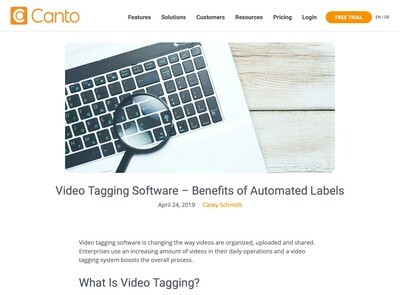 The metadata contains the detailed information – the what, the where and the when – that DAM platforms need to ultimately convey how those assets can be used without risk of copyright infringement. Without access to that data, however, organizations are often operating in the dark, and as a result, they are vulnerable to lawsuits, fines and more. The result is a situation in which DAM vendors and even end user organizations have had to create custom integrations to ensure that the full scope of digital assets they own, along with the metadata they contain, can move more easily and effectively between their DAM solution and their various enterprise systems, such as content management systems (CMS), e-commerce or publishing applications. But the time, cost and complexity of implementing these integrations are also creating setbacks to effective digital workflows, prompting the industry as a whole to consider new standards to usher in a new era of interoperability. Enter CMIS4DAM. Advanced nearly a year ago by a technical committee within the OASIS open standards consortium, CMIS4DAM is being developed as a subset of the widely adopted Content Management Interoperability Services (CMIS) standard. CMIS4DAM has emerged as it has become clear that the CMIS standard, while comprehensive, was originally intended to foster interoperability across enterprise CMS, and falls short where the specific requirements of DAM are concerned. The CMIS specification does offer practical applications for DAM, but because many DAM vendors require only small subsets of CMIS functionality for their solutions, few have chosen to take advantage of them. One big reason is that the effort required can be time and cost prohibitive. The concept behind CMIS4DAM is to create something along the lines of a universal API, allowing those DAM systems that are compliant to easily gain access to the metadata that they need without performing integration work. The overriding goal of the CMIS4DAM committee is to make it easier for enterprise customers to achieve the results they desire with regard to DRM. A primary objective of the new standard is therefore to address the idea that DAM solutions require a more adaptable framework. And first and foremost, that framework needs to be able to accommodate, expedite and facilitate metadata interoperability between platforms. For example, consider important photo-specific metadata standards, which are used in photo management or video-focused asset management applications. Access to this metadata is critical for effective DRM, but not supported by the CMIS standard. And, as the digital marketing industry expands, the number of specialized applications impacted by the lack of interoperability grows exponentially, even as organizations gain a better understanding of the importance of DAM. CMIS4DAM is designed to allow end users to build a single source of truth, making use of a flexible and structured framework that can be quickly implemented at a basic level, which will also serve to fuel widespread participation. The level of interoperability intended by the new standard will set the stage for all systems in the organization to play well together – without the need for complex integrations. Using metadata as the basis for industry-wide compliance with the eventual standard, the CMIS4DAM Technical Committee is working toward interoperability across a wide variety of platforms, content types and protocols. Ultimately, the goal is for an organization to gain insight into the lifecycle of each digital asset they own, and to maintain the information about that lifecycle within their DAM solution, while allowing its metadata to be freely exchanged with a variety of enterprise systems. Beyond metadata, a second objective of CMIS4DAM is, according to OASIS, “to define a series of common operations that compliant DAM solutions will respond to in a predictable and consistent fashion.” Provisions will be made for individual DAM applications to support certain functions to a greater or lesser extent, based on areas in which each application specializes. 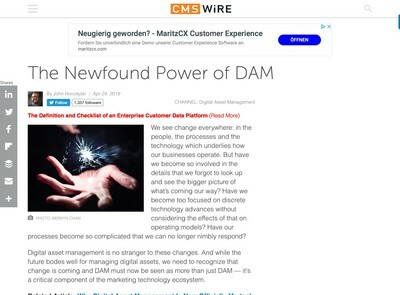 While a lot of work lies ahead, in the not-too-distant future it will be in the best interest of the DAM vendor community to work toward compliance with CMIS4DAM. Customers will one day seek out solutions with a CMIS4DAM certification, recognizing that compliance will ensure that achieving a single source of DRM truth will be within their grasp, and that the prospect of lawsuits and costly fines related to copyright infringement or misuse will be nearly eliminated. As the standard takes shape, the bottom line is that end user organizations will need to get educated. They’ll also need to get more serious about DRM, because backed by the power of a new standard, they will no longer have any excuses when it comes to properly protecting their most important digital assets. Andreas Mockenhaupt is Director of Professional Services for Canto. A member of the CMIS4DAM Technical Committee, he and his team of consultants, developers and support staff design customized DAM implementations for Canto customers and keep projects on track. He brings over 10 years of expertise in implementing DAM installations and perfecting customer use cases while managing complex IT projects. Before joining Canto, Mockenhaupt was head of consulting and co-founder of Vitras, acquired by Canto in 2011.